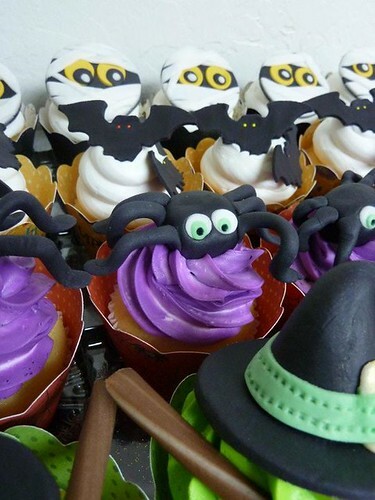 Mummy, bat, spider and witch hat and broom Halloween cupcakes! 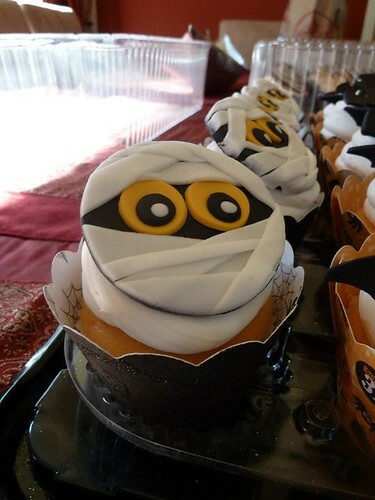 These fun Halloween cupcakes (I love how you can see a tiny bit of orange cake beneath the mummies!) 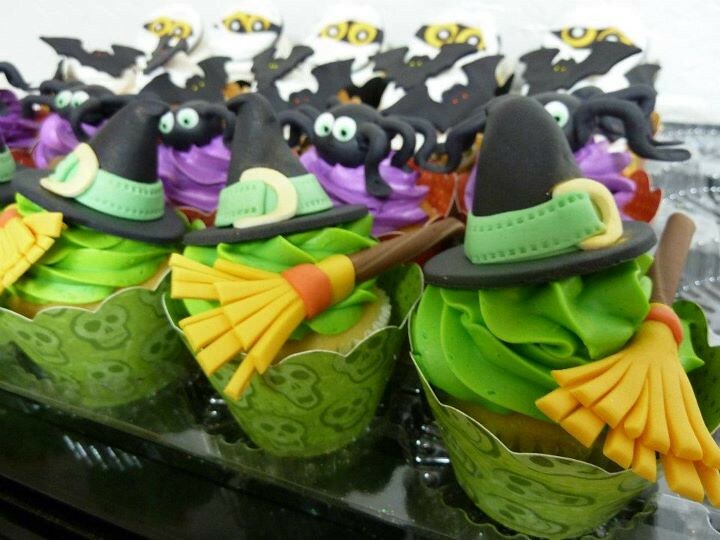 are by Burbank, California custom cupcake company Icing Cupcake, via their Facebook page. 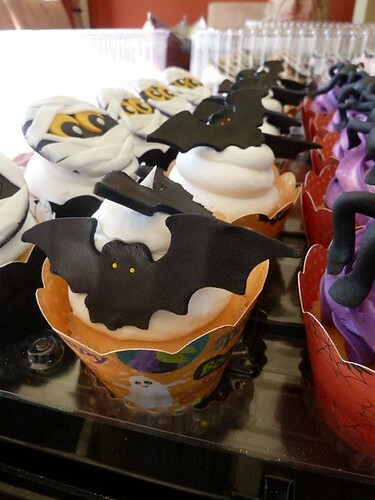 They can be reached at info at icingcupcake.com or 818-787-0787.